A black and white photograph of 500 Beech Street West. 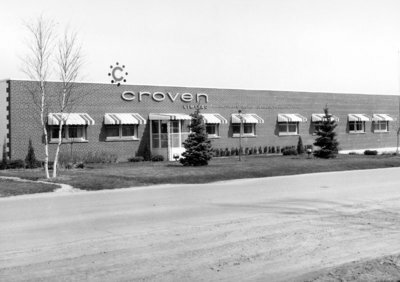 Croven Limited was a manufacturer of precision components for product control. 500 Beech Street West, c. 1964, Bill Stannett. Whitby Archives A2013_026_002.